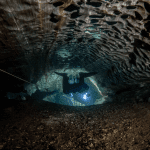 GUE is mainly known for its technical and cave diving courses, but recently the organization has been making a push to educate divers at the recreational level. Our goal is to give newer divers a stronger platform on which to develop their skills in order for them to be more confident underwater from the beginning. Hopefully, by providing them with more in-depth skill training, scuba will become a passion rather than just a hobby. The last day of our Recreational Diver Level 1 class started in the Arabian Sea with a wreck dive approximately 30 minutes offshore. It was just a perfect mix of environmental conditions: something interesting to see, abundant underwater life, and a few challenging conditions—a blue water descent with a line from 24 m/80 ft, with some current and varying visibility. With our first dive being deeper, I was quite cautious with my students not to exceed the limits of the course (21 m/70 ft), especially since two young ladies were diving after just five days of entry-level training. Maintaining depth without an easy-to-follow reference is always a good test for buoyancy control for both self and team awareness. In spite of my concern, the dive went smoothly. There was a lot to see and the students performed well. I was content with their performance. When the time came to call the dive, we went back to the upline to ascend. I indicated to the students to hold onto the line, as the current had picked up a bit. I backed off, leaving them space to position themselves. After we ascended a couple of meters, the students just let go of the line. My first instinct was to tell them, “hold on to the line!” But I didn’t. Instead, what I saw was a team of two trained divers, communicating clearly, maintaining the speed of ascent, maneuvering around the line in good trim using a backward kick, pausing on the planned stops, and looking very relaxed. I followed them up and even flooded my mask because I was grinning so much. This first recreational course with GUE’s new curriculum proved to me that the concept of GUE recreational training works well, even if at first it may feel counterintuitive to some instructors. The knowledge and skills are delivered to students in small chunks, with time in between to allow them to practice and reinforce their newly acquired skills. Most of those are basic skills, like buoyancy control, position in the water, and propulsion/maneuvering. Spending time practicing basic skills may feel stressful and counterintuitive to any GUE instructor who has a long list of skills to teach, but the initial dedication to building a solid foundation works out well for newer divers. Any additional skills will be easy to teach, and easy for students to learn when they begin with a good platform. The original GUE recreational diving curriculum was created almost ten years ago in a huge effort lead by GUE Instructor Jesper Berglund, who at the time was GUE’s Recreational Training Director. 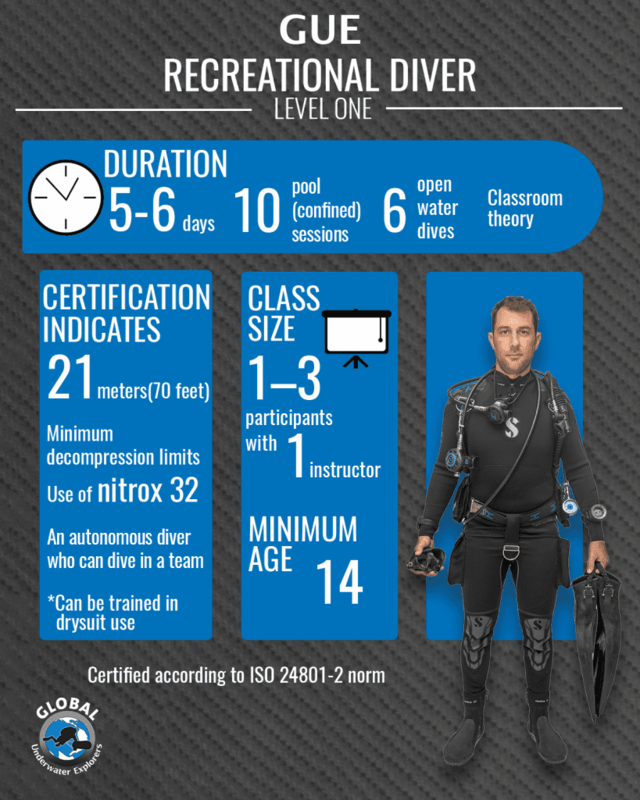 Three programs were created: Recreational Diver Levels 1, 2 and 3. The Level 1 course was arguably one of the best courses crafted in the industry, but its weakness was its ten-day length and corresponding expense, making it difficult to implement. Because of this, GUE recently revamped and launched their new recreational course program to be more accessible while still maintaining its educational quality. The main change that was made to the course was breaking the first level into two parts. The two parts of GUE’s complete entry-level recreational program are Recreational Supervised Diver and Recreational Diver Level 1. 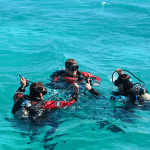 The Recreational Supervised Diver course requires three to four days during which the students are learning the basics of in-water work, equipment handling, pre-dive procedures, dive planning, and dive theory. The course can be finalized at this stage with a certification allowing the diver to conduct dives under the supervision of a dive professional up to 12 m/40 ft using nitrox 32. The divers are able to plan and execute their dives, including calculating their minimum gas requirements, properly analyzing and marking their breathing gas, as well as preparing and handling gear independently. The course is conducted using a single tank, GUE-configured equipment set with a backplate, wing, and long-hose regulator setup. If the students are trained in cold water, then they are using drysuits as soon as their third confined (pool) session is completed. For Recreational Supervised Diver there are a total of eight confined (pool) sessions before their open water dives. Recreational Supervised Divers complete a minimum of two open water dives as part of their class. After certification, the diving professional who will be guiding them is expected to take care of underwater navigation, advanced emergency handling, ascents using an SMB, and ensuring that the students build up their experience, which is such a critical part of the learning process. 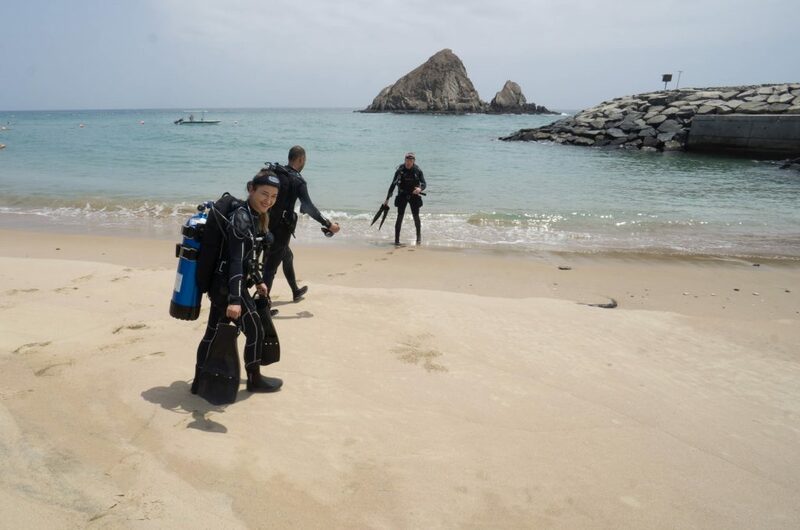 We recommend that these new divers dive with a GUE dive center and dive leaders, as it will enhance their skills, the post-training experience, and of course how much fun they have. The next stage in their training is a full GUE Recreational Diver Level 1 certification that builds on previous experiences and adds to the skills that will make them and their team qualified to execute safe dives to 21 m/70 ft on nitrox 32. 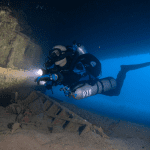 The theory includes more detailed dive planning, environmental awareness, decompression theory, and reinforcement (i.e., review) of previously acquired knowledge. 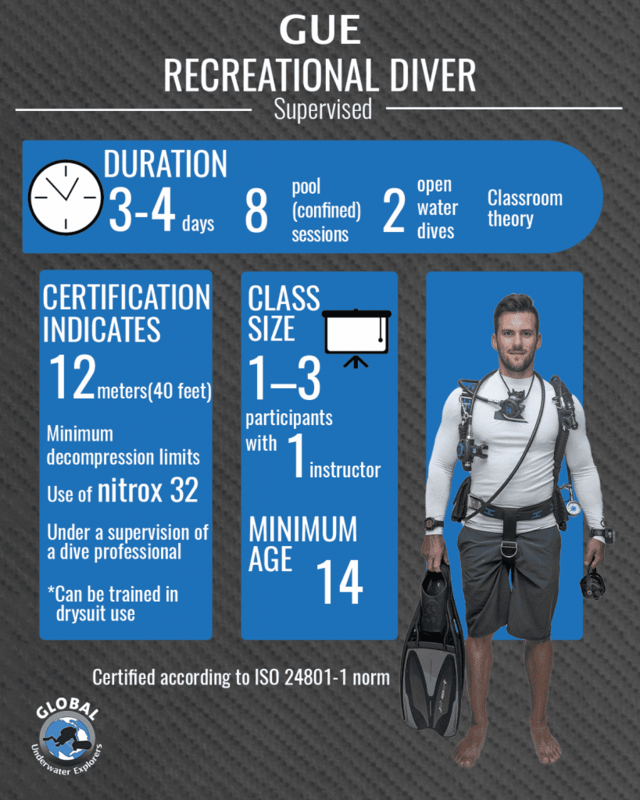 The course includes two additional pool sessions for a total of ten, introduces SMB handling, additional equipment failure emergency management, advanced descending/ascending techniques, and full surface rescue skills. There are also four additional open water dives, making for a total of six, to add as much in-water experience as possible in order to reinforce the practical use of students’ newly acquired skills. GUE recreational courses are not about “ticking off” skills on a list; they are more about letting the students practice the tools they have been taught in their class and showing them how to apply them to real dive conditions. More importantly, it’s about having FUN, feeling in-control, being confident, and making the right decisions based on their understanding of what is going on around them. GUE’s entry-level training can be conducted as a continuous (single) course, leading to a Recreational Diver Level 1 certification, or as two separate courses. Typically it will take five to six days (or an equivalent of not less than 40 hours of instruction). Done all at once, the course can be demanding, but with dedication and good logistics, it is an enjoyable experience with fast and satisfying progression. As with all GUE classes, the minimum is defined, but maximizing students’ in-water time is encouraged and recommended. If more time is needed, well, then it should be granted! Those who prefer to take the time and allow for more experience in between sessions, or who want to break the training into Supervised and Recreational Diver 1, are encouraged to do so. Gaining more in-water experiences between courses will only enhance students’ confidence and skills. With 10 pool sessions, six open water dives, and a good amount of theory, GUE entry-level training requires more time than a typical recreational class. 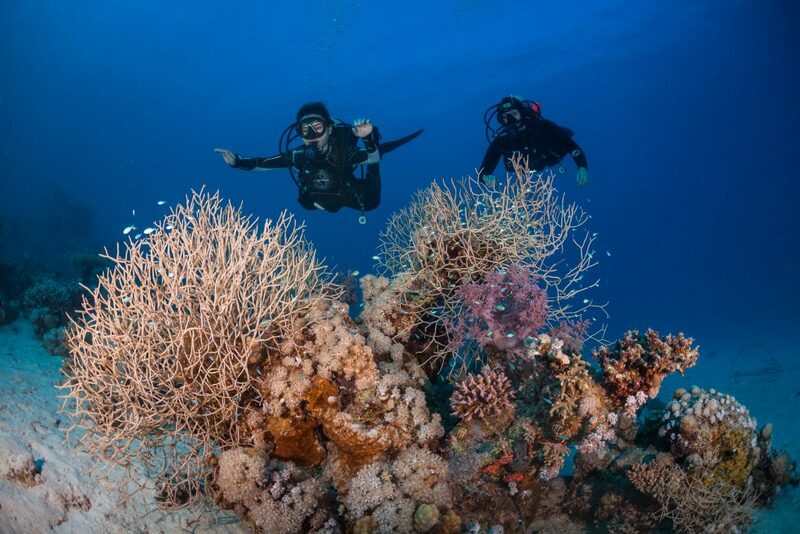 For example, a PADI open water class requires five pool sessions and four open water dives, and on average is conducted over three to four days. We aspire not just to certify divers but to create confident divers. Completing a task list is not the goal; education, progression, maintenance of skills, and motivation to dive is. The certification is just a formality. No practical or theoretical knowledge can endure without experience; nothing can be mastered without repetition, properly chosen corrective feedback, genuine and targeted positive reinforcement, and giving the diver an opportunity to apply it. Individuals who wish to become divers must be given enough time to process knowledge and have a proper environment to learn the needed tools. They also need a mentor (instructor) who takes the time and patience to guide their learning process, criticize when needed, and praise when deserved. One added benefit of completing a recreational course through GUE’s program is the dive community that comes with it. Because we are team-based divers, we have strong communities in over 90 countries that are regularly diving. 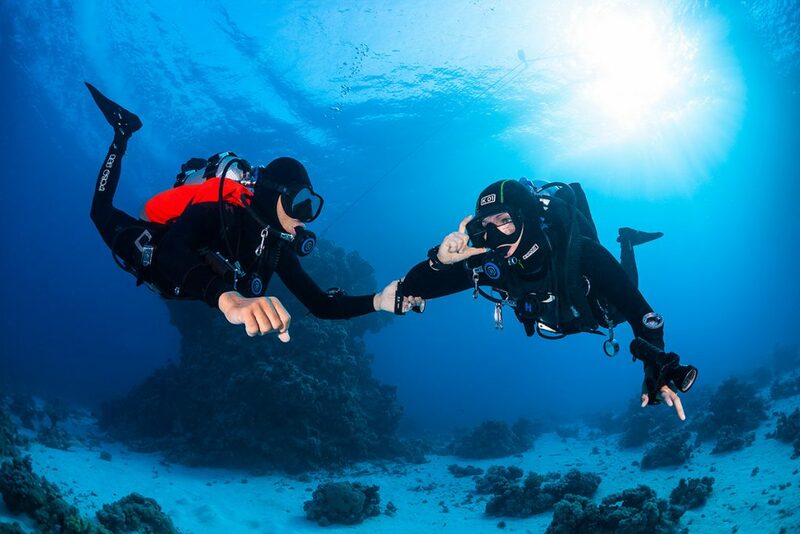 Having a team to regularly dive with is something that can be hard for new divers to find. GUE groups make that easy by welcoming divers at all levels of experience. GUE groups provide opportunities for those divers to get in the water and can connect new divers to mentors that will ease their way into the joys of diving. Dorota Czerny has been an active scuba instructor for nearly 20 years. She started as a PADI instructor, worked in Egypt for almost 10 years in a busy dive center in Hurghada, and joined GUE in 2004 and never looked back. She is currently GUE’s Recreational Administrator (responsible for both recreational and foundational curricula), a member of the Board of Directors, and teaches GUE instructors, and recreational and technical diving.